By Community Chickens on December 10, 2010 Visit Community's Website. The thing I love best about raising chickens, is that there is always something new to learn. Especially when it comes to breed diversity. In 1994 I was watching a show all about chickens on Canadian television, sadly, I can’t remember the show’s name. The program featured a chicken that laid a deep, dark brown egg, almost burgundy in color, and it was called a Cuckoo… Ugh! then life happened and for some reason I didn’t catch the second part of the name. For years, I asked any person who had anything to do with chickens, have you heard of a Cuckoo chicken? Most people looked at me like I was a little Cuckoo, but had not heard of the chicken. Finally I cornered some poor soul at the 4 H Fair and they suggested that maybe I was looking for the Cuckoo Maran. Indeed, that was the chicken I was looking for. But to my pleasant surprise, upon finding the Maran name, I found that there were many variations of the breed. In our current flock we have Cuckoo Marans and French Black Copper Marans. The Maran is named for the town in which it originated in France. I’ve read that it was mainly developed by mixing native game birds in the area, with the Langshan breed. 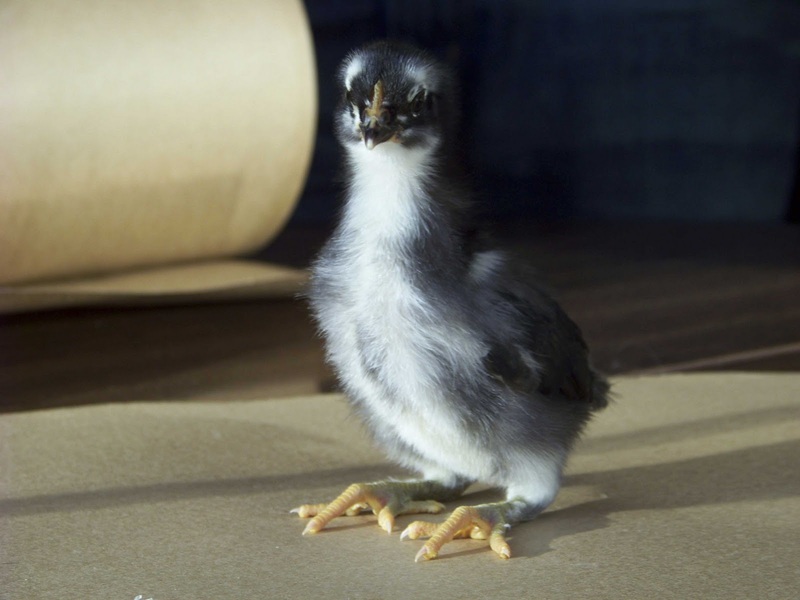 The French Black Copper Maran is a slightly feather legged chicken and was originally bred to produce gourmet eggs for France’s culinary interests. There is also an English variety with clean legs. It is said, that from these clean legged birds, other Maran breeds like the Cuckoo were created. Our main focus right now is on our French Black Copper Marans. 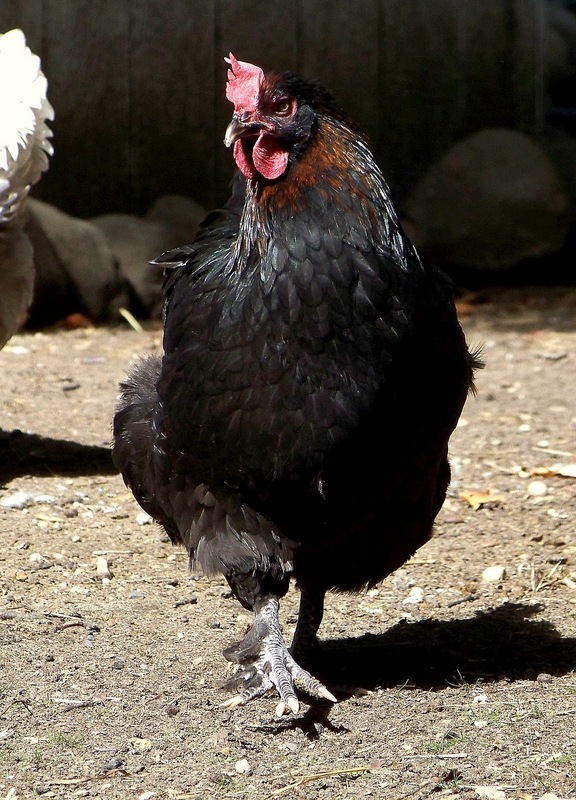 The French Black Copper Maran is a relatively rare breed in the United States. The stock that we have are descendants of the Wade Jean and Bev Davis lines. These two have been accredited with producing some of the best birds in the breed. They’re bloodlines are highly prized by Maran enthusiasts. 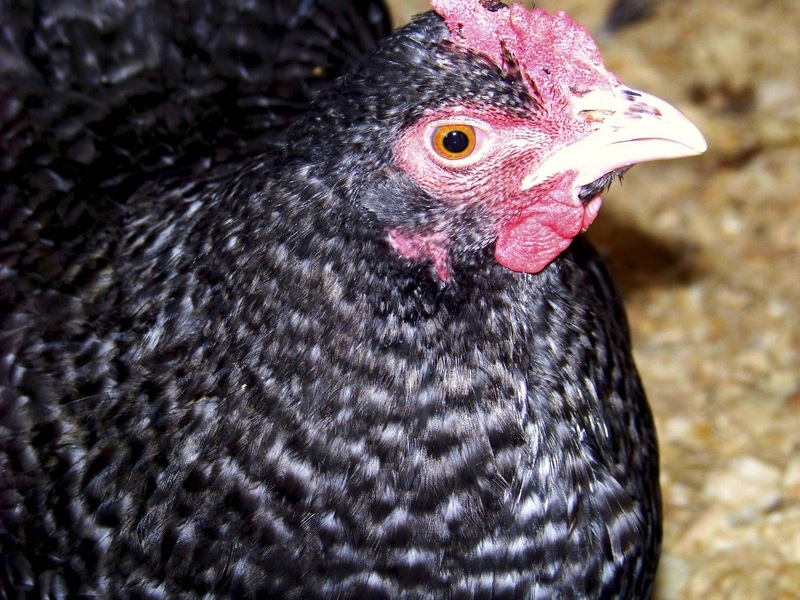 The Maran right now is not recognized by the American Poultry Association. There are many groups and movements that are trying to change this. For now, I can only show my birds for best of breed but not best in show. My main goal in the show circuit at this point, is to get feedback from the judges, so I can breed only those birds who are as close to standard as possible. Not only with bird type, but in egg color as well. 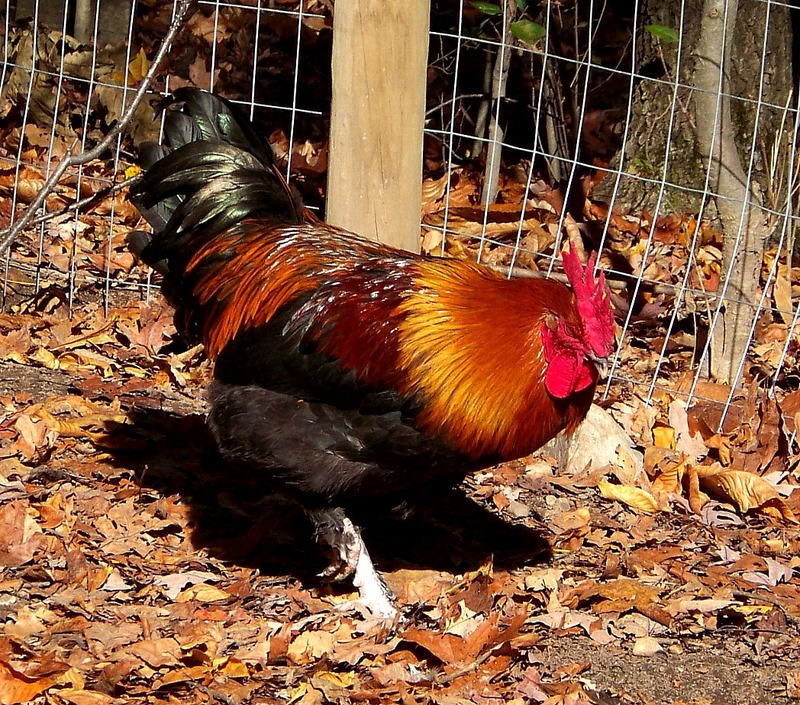 As far as I can tell, from the comments from other Maran enthusiast, and from reading about the breed, is that most of our roosters are a little too colored over all. Though, in my personal opinion, I think the vibrant colors are beautiful, the breed really shouldn’t have the red that some of our roosters have. Only the true copper color, and not to be confused with golden. We have a really pretty male, with good body type, better feather coloring, and lighter legs, but his eyes are a little dark. The goal is to have a pumpkin orange iris. His are a little dark to be classified as pumpkin, but they’re definitely not brown or black, as these colors can cause disqualification. His body is nice and rectangular, and perpendicular to the ground. His comb is nice and straight with prominent points and his waddles are beautifully long and cherry red. He also has a nice tail shape. Which according to the breed standard, should be at a 45 degree angle, and sturdy at the base. The top point on his comb is slightly off, but I still think he is our best bet. I’ve posted pictures of our chickens on-line to different Maran groups and gotten mostly positive feedback. But as much as I try to prepare, only a judge will be able to tell next year when we show him. His eye color may throw him out, but at least I’ll know what I have to improve on. I try to read, read, read, about the breed and compare what we have, to what the standard is looking for. I find this whole process incredibly interesting, but also, a little intimidating. I feel a real responsibility to this breed, and to all breeds, for that matter, when reproducing. I want to know what I’m doing before I continue to make more chickens. Our hens seem very promising. They have fair color around the hackles and no where else. Some color on the breast is tolerated, but not desirable. Ours have none. And as far as I can tell, our hens have truly black feathers, no green, which is good. Also, the folded waddle in the back is acceptable. Our hen’s also lay a good egg color. There is a scale that was developed by the French ranging from white at 1, and the darkest Maran egg at a 9. 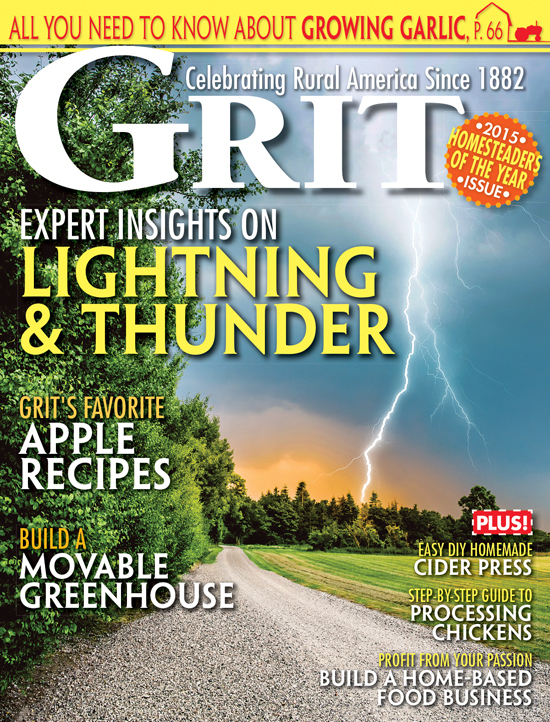 Check out the scale by clicking here. 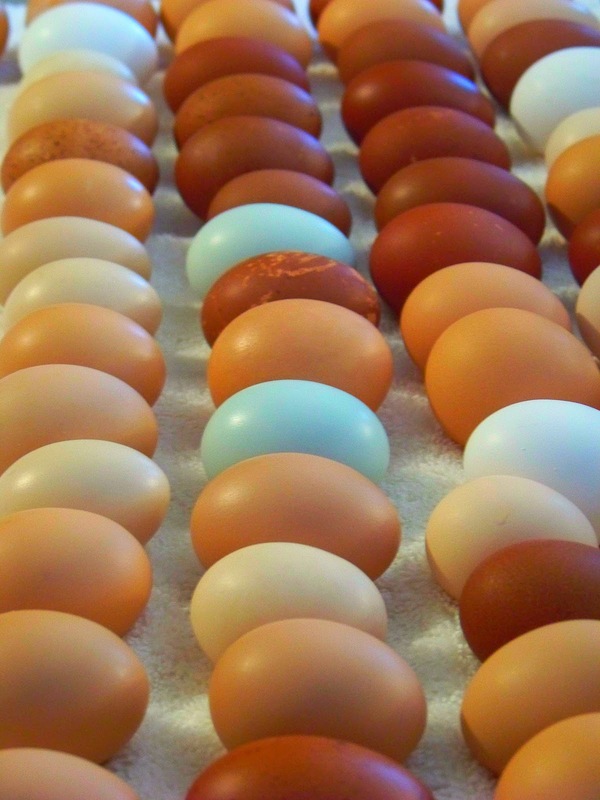 Our darkest eggs could easily be considered a 5 or 6 which is nicely acceptable for a Maran egg. It’s always the goal to breed those chickens who lay the darkest eggs. It’s interesting because the dark brown color can sometimes be rubbed off. It’s actually a coating on the outside of the shell that gets placed as the egg is laid. For the most part it stays intact and becomes a permanent part of the shell, but I’ve noticed that if I use a scrubby type sponge to wash eggs, the color can come off in spots. The yolks are always really orange. According to the breeder who sold us our first chicks, the hens will go through a cycle, laying the darkest eggs in the beginning of their cycle, then laying lighter and lighter eggs as they continue. 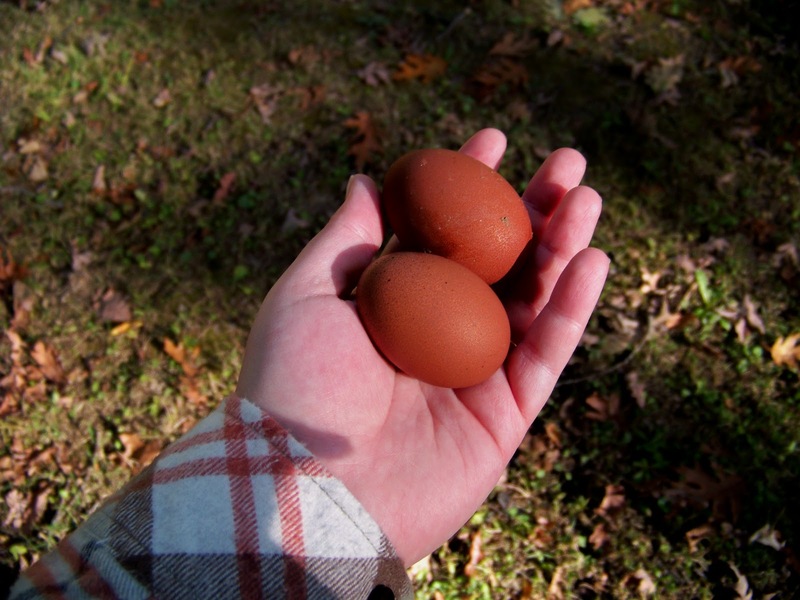 At the end of their cycle, they stop laying for a short period, then start with the dark eggs again. The eggs also lighten as the hens get older. We’ve noticed this with our hens. I went down today to get eggs and they must be somewhere in the middle, not the darkest, but not the lightest I’ve seen. If I’ve learned anything in this preparation for next year’s show, its that the desire for knowledge of the breed keeps me obsessively engaged in the condition of my chickens. It forces me to watch my birds extremely close, and to well, baby them. Many times what’s going on inside will reflect what our birds look like. It’s not all about fancy feathers, but producing the healthiest, happiest birds and in turn, we will get beautiful birds as well. It’s Marans in all cases, whether you are talking about one or more than one birds. The breed gets its name from the town of Marans in France. 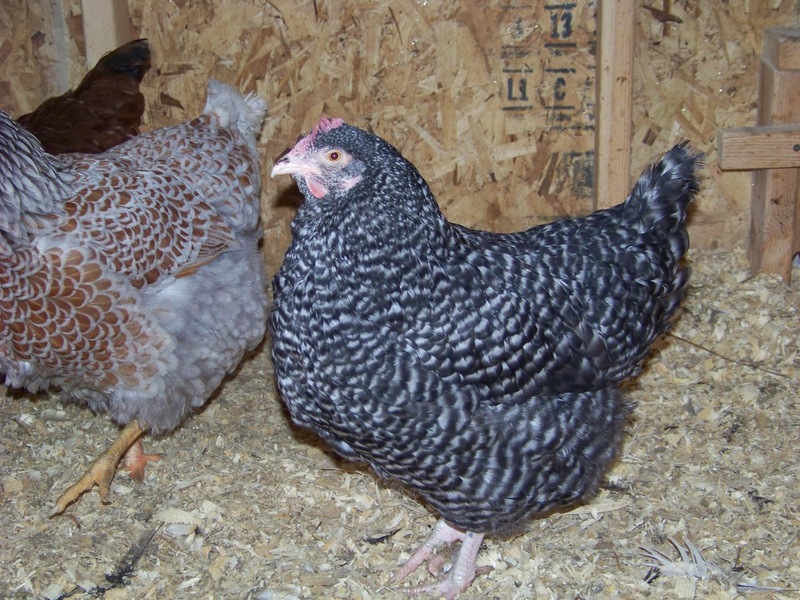 Different colors, such as the Cuckoo and Black Copper, are varieties of the Marans breed. I, too, have Black Copper Marans from the same breeders as you and Cuckoo Marans that I picked up from a breeder at a Bird show in Lima, Ohio. The parents of the Cuckoos won blue ribbons for the continental rooster and hen. I am concentrating on the Black Copper Marans, too. Just because I love the way they look and I love everything I have read about them. When I was reading about the different types of Marans, I read that they make a big point of never dropping the s on Marans. Whether you are talking about one or many. They are named for Marans in France . . .not Maran. 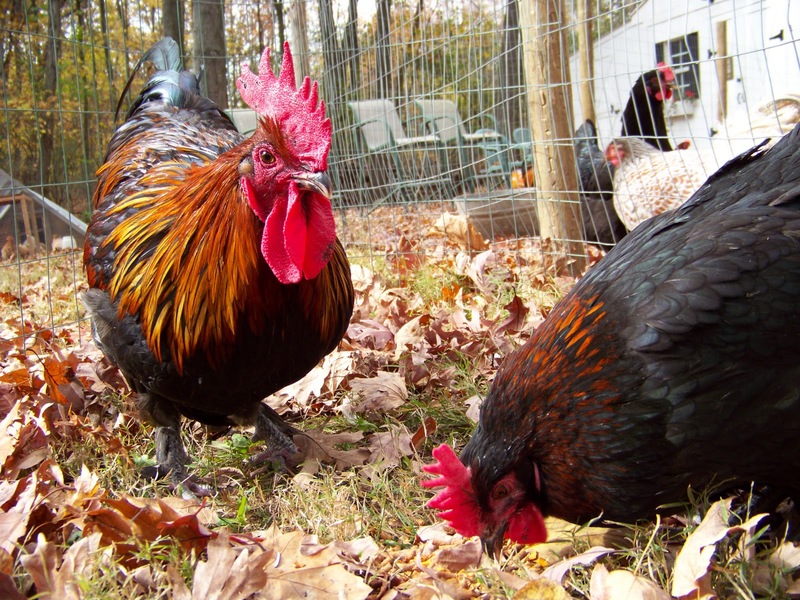 Hello, Jennifer, I really enjoyed this post… love reading anything and everything about the Marans breeds! However, you should always remember to include the ‘s’ on the end of Marans. It is correct to say “We have one Cuckoo Marans” as well as “We have many French Black Copper Marans.” As a fan of these wonderful breeds, I appreciate your nifty blog!